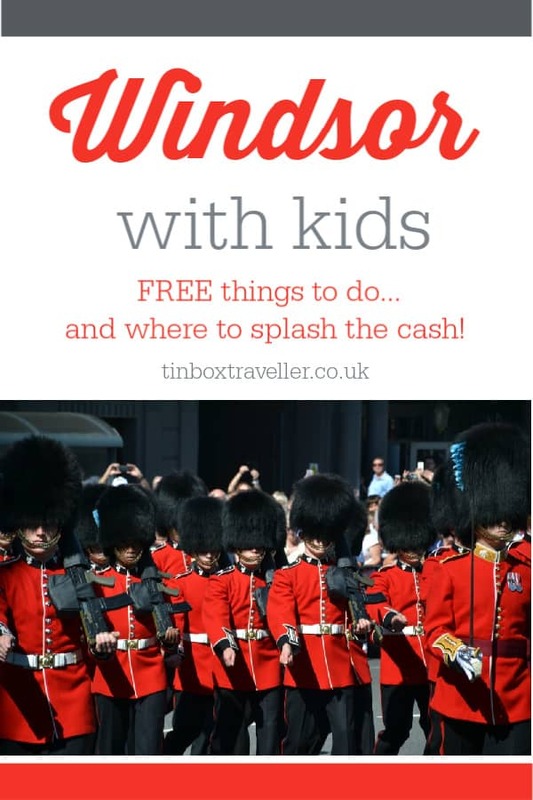 Plus scroll to the bottom if you do want to treat the kids during your visit to Windsor! Where to stay in Windsor with kids? The ceremonial Changing of the Guard at Windsor Castle happens every Monday, Wednesday, Friday and Saturday (weather permitting). You can buy tickets to go into the castle and see this spectacle but there’s also a chance to see the guards’ procession on the streets outside just before and after. 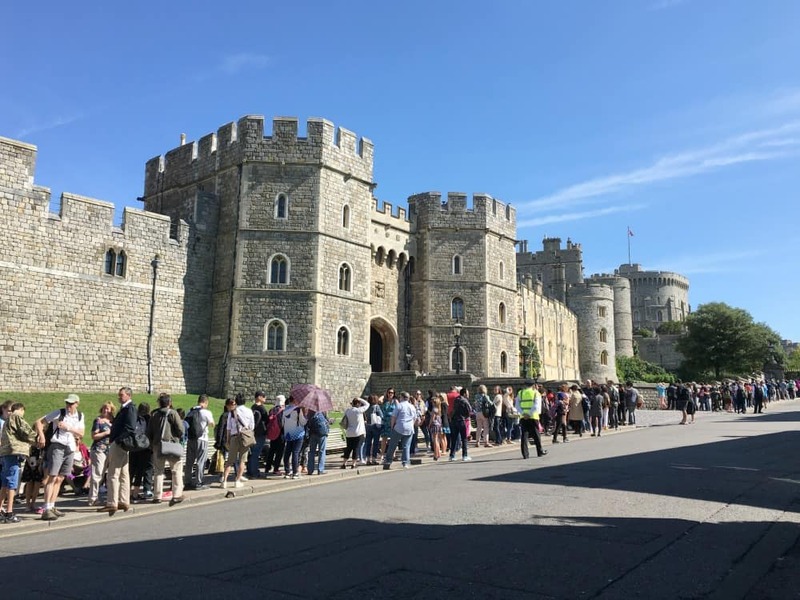 Arrive outside the castle by no later than 10.30am to get a good view on either the Guildhall steps on High Street or between the statue of Queen Victoria and the Castle entrance on Castle Hill. Here’s some handy information about the route. 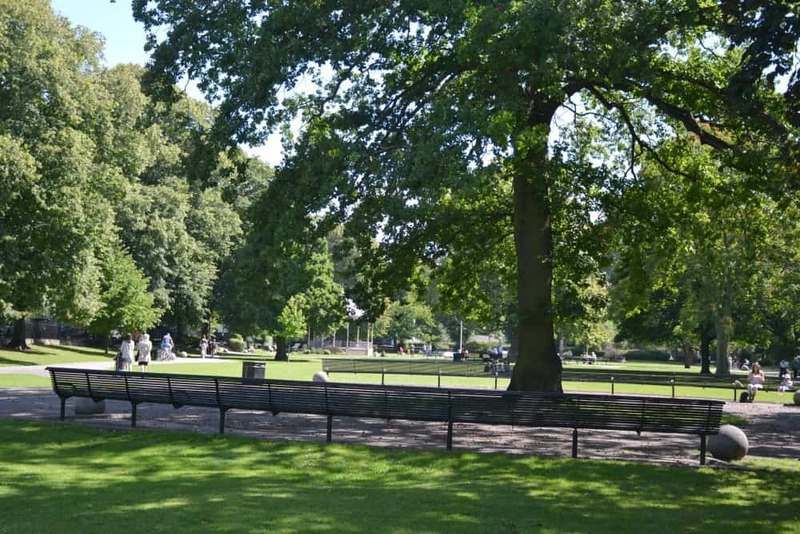 This beautiful park has views of the castle and some wonderful features. Alexandra Gardens boasts a sun dial where you act as the dial, large grassy areas bordered with curved seats and footpaths perfect for scooters. You’ll also find reasonably priced parking here, either on the road by the river or in the large car park at the far end. The River Thames runs between Windsor town and Eton. 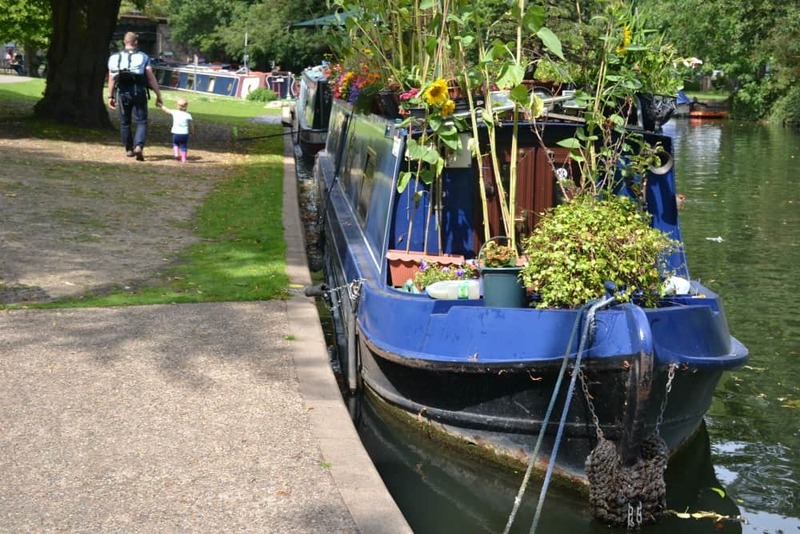 Our girls had lots of questions about the house boats, who lived in them and their rustic decorations. 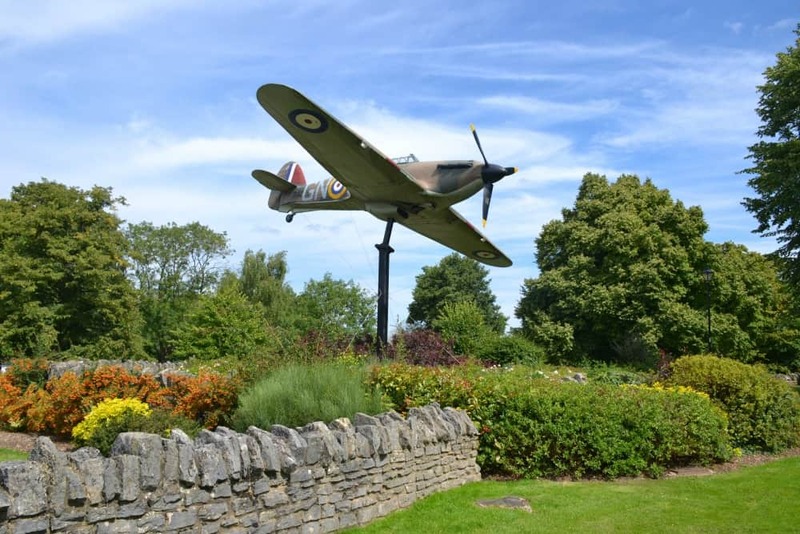 The replica of the World War II Hawker Hurricane opposite Alexandra Gardens is also an impressive sight. While walking along the tow path you’re bound to be stalked by a gaggle of swans and other wildfowl eager to see if you have any picnic leftovers. This is a real child-pleaser and a perfect spot to cool down on a warm day. 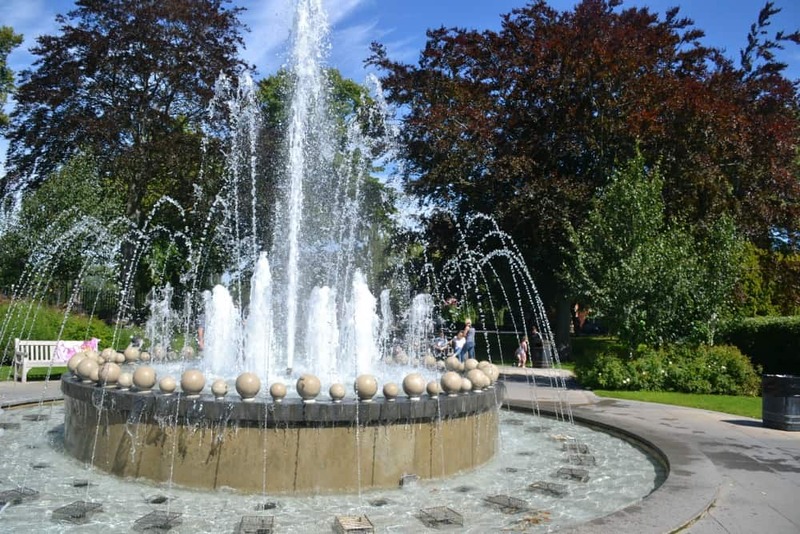 The Diamond Jubilee Fountain was opened in 2012 to commemorate Queen Elizabeth II’s 60th year on the throne. Its centre-piece is a large stone bowl from which jets form the perfect shape of a crown. Please note this is not a splash park. There is an interactive water feature at Bachelor’s Acre, off Victoria Street. This one-way, flat brick maze with a Chess-theme will appeal to all ages as there’s several ways to play with it. Young children can simply follow the brick path, while older kids and adults can try to solve the riddle by reaching the centre having visited each chess piece on the curvy paths once. Find the Maze in The Goswells park on Goswells Road. 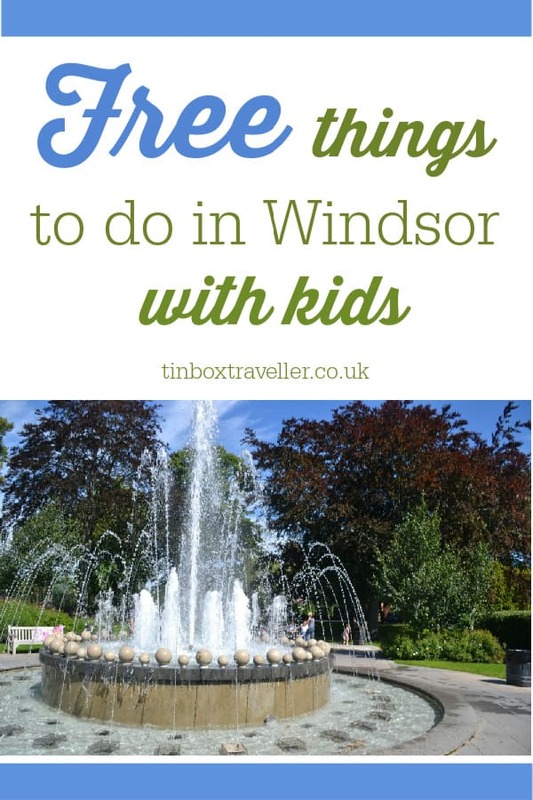 Your enjoyment of this list of free things to do in Windsor with kids will be dependant on the weather. We visited on a warm, sunny day. If you’re not as lucky, read on to check out ways to splash the cash and liven up a traditionally British damp day. You can’t go wrong with a National Trust day out and Windsor’s closest is the enormous estate of Cliveden. Cathy at Mummytravels is a big fan of the amazing architecture at Cliveden National Trust, which is just 15 minutes outside Windsor. If you’re a National Trust member you need only worry about saving up for the cake! Windsor Castle is on my bucket list but I think we’ll leave it a few years until the girls are old enough to appreciate the history. Clare at Suitcases and Sandcastles has written brilliant list of things you must do when you visit. A family ticket for two adults and up to three children costs £53. If you love sightseeing tours than the City Sightseeing’s 11 stop bus tour of Windsor is great for families with older children. A family ticket for two adults and up to three children costs £30. Who doesn’t love Lego? Windsor is the UK’s home of brick building fun. Ting at My Travel Monkey had a great day out at Legoland Windsor with her then toddler. Lisa at Travel Loving Family has also got some handy tips for visiting with young kids. Tickets start at £30 per person but be prepared for the price to rack up depending on the day and time of year you’d like to visit. While we were wandering up to the Castle to see the Changing of the Guard we were passed by one of the striking yellow amphibious vehicles operated by Windsor Duck Tours. This looks like a brilliant way to see the town from land and water. Family tickets up to four people cost £60. Looking for a family hotel in Windsor or close by? Find somewhere to stay on Booking.com*. Have you been to Windsor with kids? What was your favourite experience or day out in Windsor? If you’ve been searching for free things to do in Windsor for kids then save this post for later! Disclosure: this post contains affiliate links which means that if you click on one and make a purchase I may earn some commission. This doesn’t affect the price you pay. Saving for travel – are you putting aside enough to help your children? 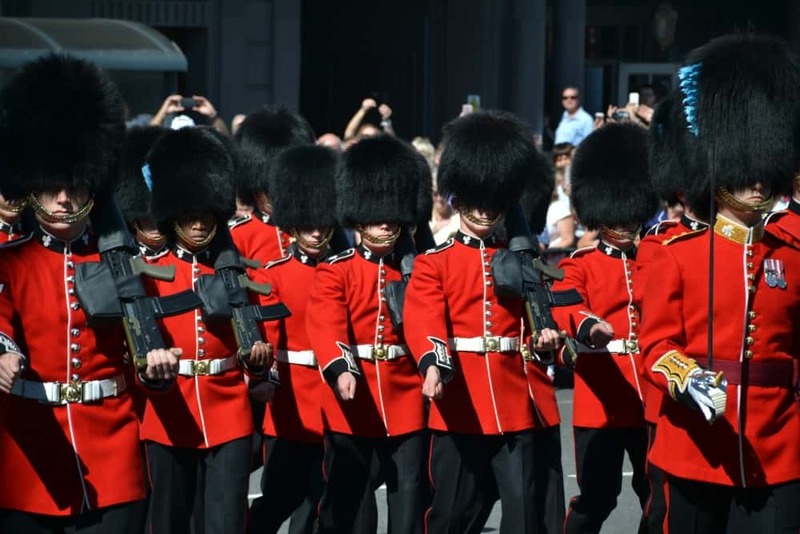 We visited earlier this year with the boys and they loved the changing of the Guards and castle – we wrote about in here: https://zenbabytravel.com/2017/06/09/windsor-castle-with-kids/ Thanks a lot for sharing the other tips Claire, we need to go back for the Maze! I really need to arrange a proper return visit to Windsor – so much there to explore. And thanks for mentioning my post. You’re very welcome. I’d love to go back too.The Duck Tour and Castle are high on my list of things to do next time. Last summer The Duck Tour was cheaper on Groupon. Might be worth checking out prices there before you book. Great tip! There’s some great bargains to be had on Groupon. Thanks Caroline!